Every page of Cairns conveys the sacral, as revealed by the indwelling spirit of deserts, glacial fjords, kittiwakes, bald eagles, bears, and pine forests. Chris Hoffman’s vision is prayerful but not preachy. His voice, reverential but never pretentious. If Cairns is anything to go by, one would be pleased to meet him. How did he ever get that much light into this small book? Cairns is the kind of joy bears would want if they were human. I take this book on the road with me, read the poems around sunrise and sunset, and feel both comforted and refreshed as I wander into wild places. Chris Hoffman’s thoughts and imagery can evoke a myriad of life’s experiences in a few rich, moving lines. This book is a journey you will be delighted to share. Chris Hoffman's poems capture both the spiritual essence and day-to-day nitty gritty of life in the canyons. Whether on raft or by foot, countless images emblazon light and shadow, sharply etched skylines and miniscule details, on our consciousness. His words and beautifully sculpted lines reverberate with passion and the intensity of his love for this magical place and space. A priest of desert and river, Chris Hoffman paints rich and satisfying imagery with his reverent pen. 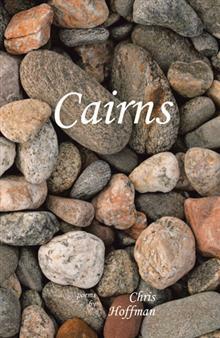 Cairns is a delightful book of poetry about landscapes of the West, family, love and finding meaning in life in contemporary society based on a deep connection to the Earth. The author is Chris Hoffman. It seems an appropriate book to review in the Compass because it deals so closely with Nature, in settings that will be familiar to many: raft trips through the Canyonlands, backpacking in the Mt. Zirkel Wilderness, communing with animal spirits and ghosts of the Anasazi, or sea kayaking. Arresting phrases capture natural images so naturally you know the author has deeply experienced them: “O to go boyant on the liquid muscle of the sea...” or, experiencing the desert’s vastness: ‘Go there / For the nothing that is there.” Just as many of us find refuge and rejuvenation through our outdoor activities, reading through these poems was similarly healing and strengthening. Most are written in loose, free-form structure, easily followed, but there are few tightly rhymed, a few prose paragraphs, a few amusements thrown in, a few haiku-like. Altogether, it was quite enjoyable to find a contemporary author finding deep satisfaction from Nature and a reverence for life, intuitively seeking meaning and stability in these modern times, and conveying it so well. in the emptying blackness deep and high. round the tail of the northern bear. 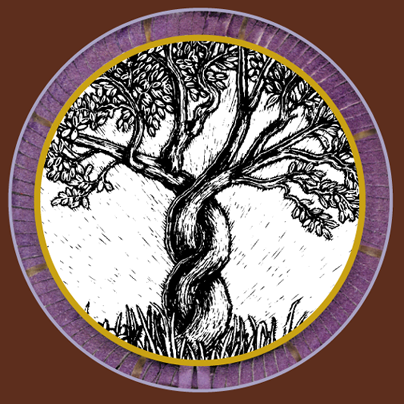 where outward and inward expand. like a harp’s quivering strings. and you are the pupil of the infinite eye. and the woman is a tree beside the door. and the woman is snow, melting. and wants to make all good things fruitful. She is the daughter of Spoon Woman. Her lap is fragrant and soft as tundra. growing younger and older, older and younger. and pour blood into it, and weep. leaving matted and tangled roots. sweet from drying in the sun. He is the son of the One Who Starts Things Up. and makes pictures in the sand. Talk to the stars now. and she is soft rain weaving a sash on the pond. pushing through the damp earth. winds through the whole world.